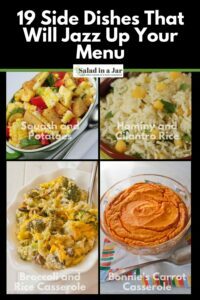 When you plan your menu, do you get stuck on the side dishes? Or maybe you’ve been assigned to bring something to a potluck or celebratory gathering. 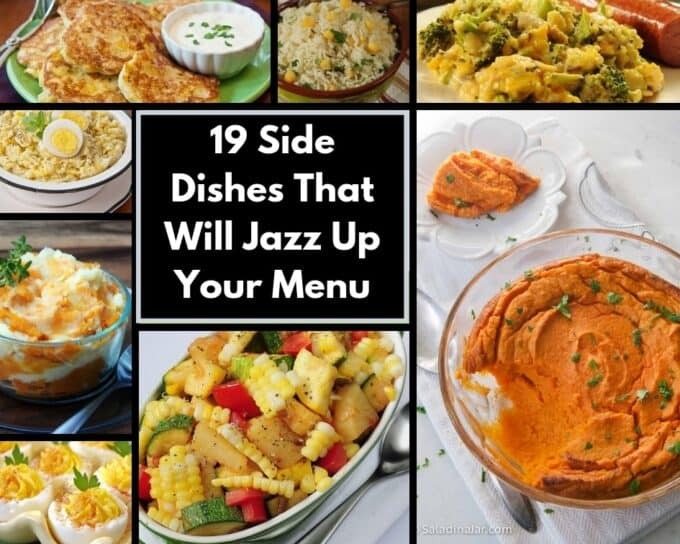 Take a look through these 19 side dishes sure to jazz up your menu with fresh color, interesting textures, and valuable nutrition. 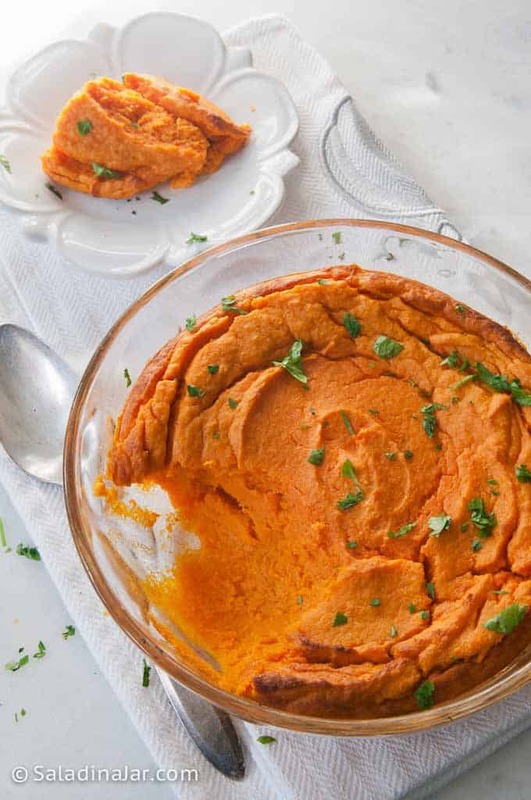 Puréed carrots get a company-best treatment with a little butter, sugar and maple flavoring. 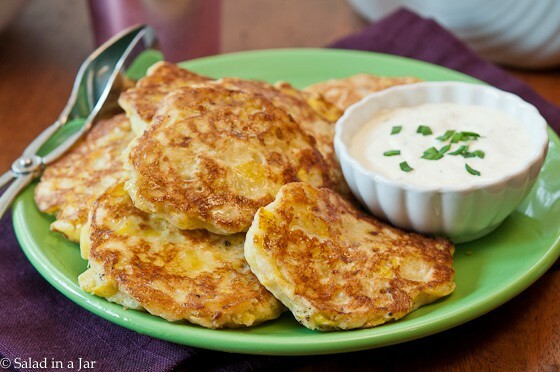 You'll love the soufflé-like texture. An Instant Pot and food processor make assembly quick and easy but neither are essential. 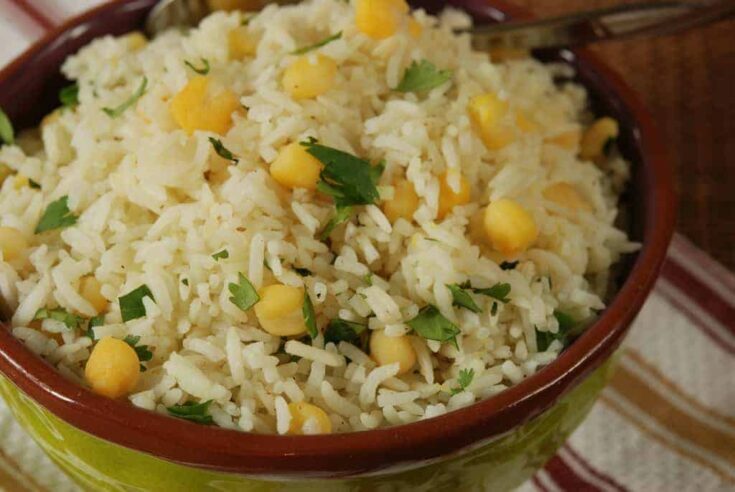 A side dish of jasmine or basmati rice, cooked in chicken broth with hominy, cilantro, and butter added. 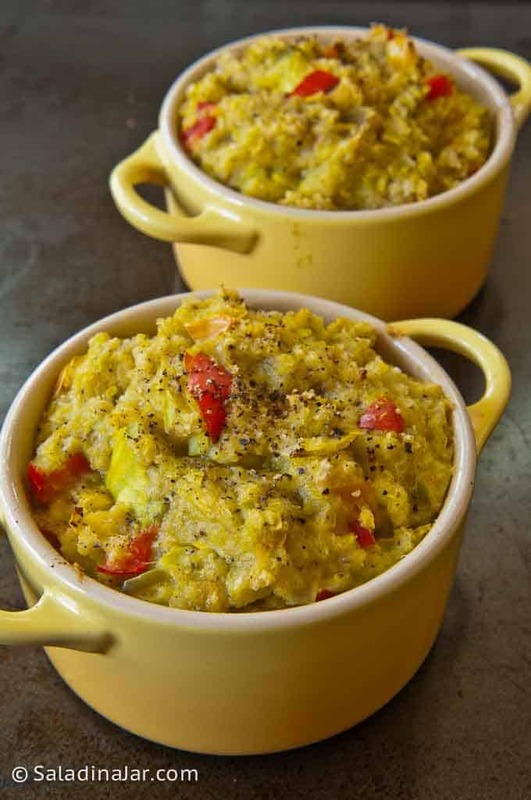 Fresh yellow squash makes a delicious but simple casserole similar to that served at Black-Eyed Pea restaurants in the South. 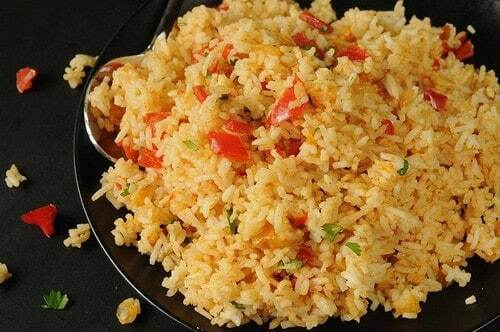 Jasmine rice with southwestern seasoning and cilantro make a mild but colorful side dish for other Tex-Mex recipes. 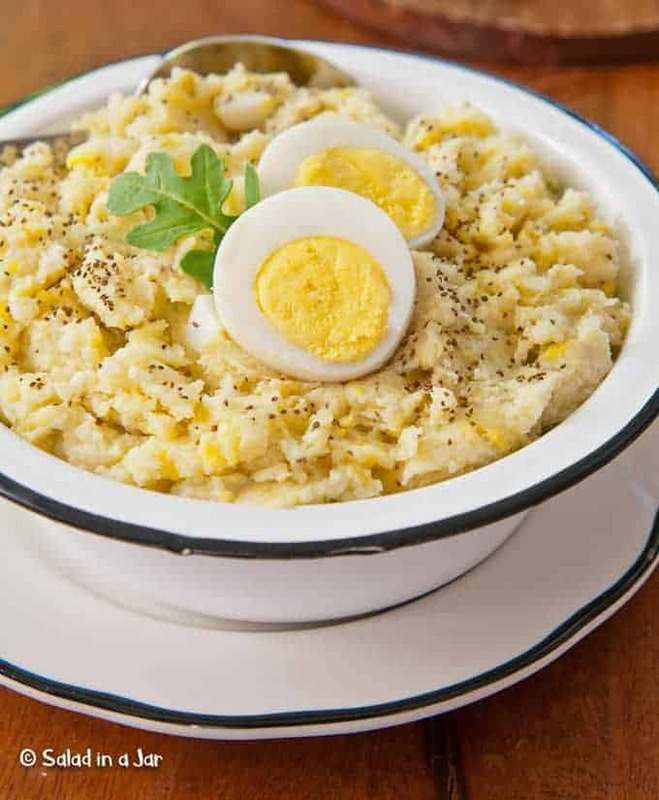 Cauliflower substitutes for potatoes in this modified American classic. 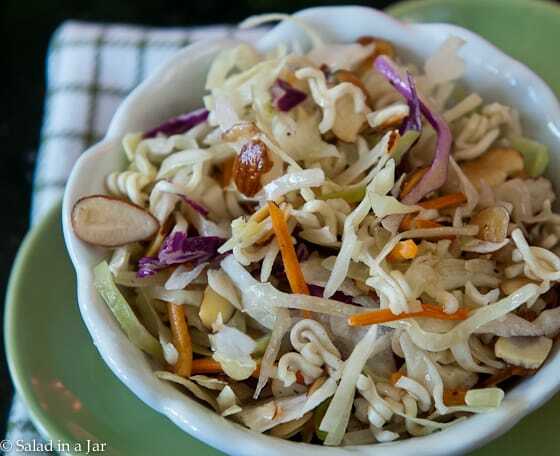 Susie's Coleslaw with a sweet-and-sour dressing, almonds, and Ramen noodles is full of flavor and crunch that will have you helping yourself to seconds without guilt. 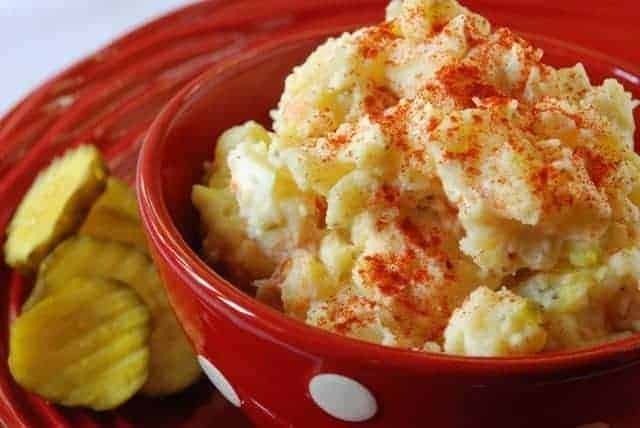 A classic potato salad with homemade cooked dressing (quickly made in a microwave) and combined with mayonnaise. No mustard or raw onions if I'm around, but of course, you are welcome to add them if it suits your fancy. 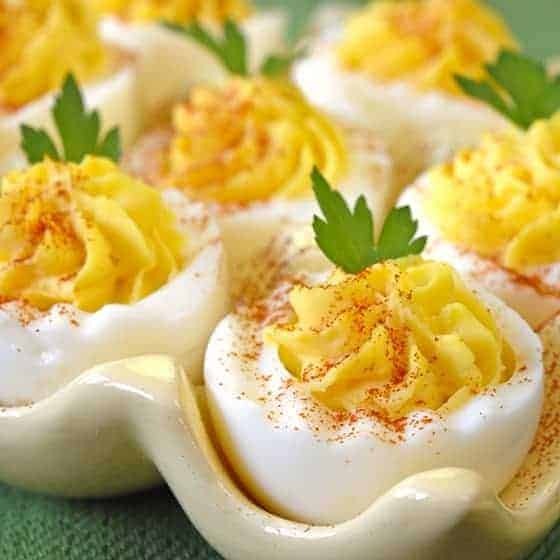 These deviled eggs with a mildly sweet and sour twist are the kind of thing husbands and kids pop in their mouth like a Hershey kiss. 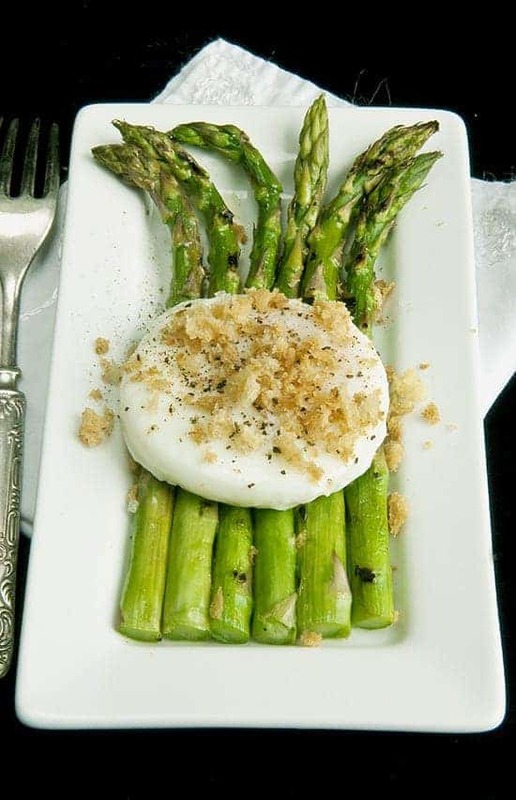 Nothing fancy or unexpected--just everyday goodness! 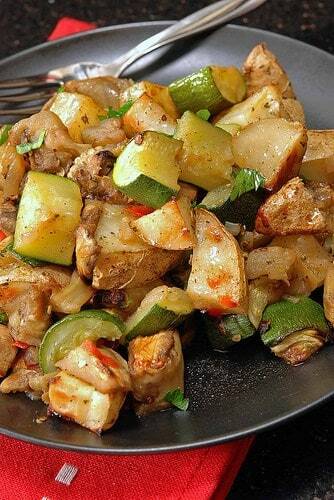 Feed your eggplant obsession with roasted eggplant, zucchini, potatoes and mushrooms seasoned with Ranch dressing dry mix packet, then roasted in the oven. 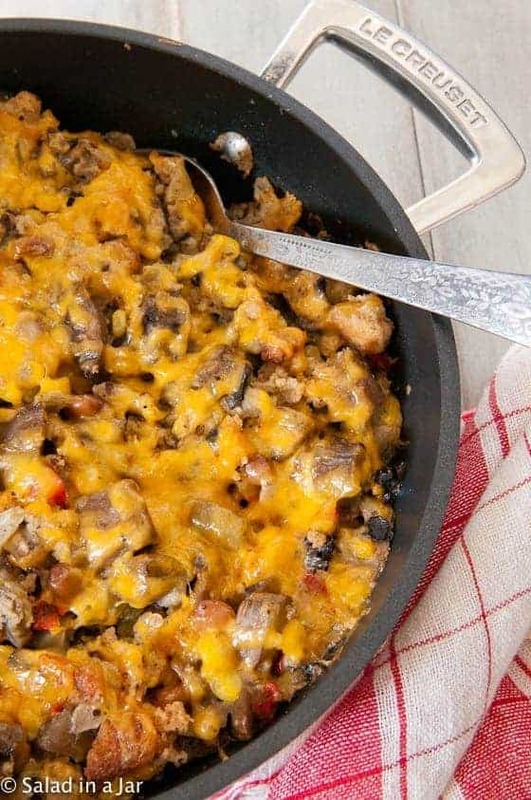 Southwestern Eggplant Dressing uses cornbread as a base with all sorts of veggies added, including green chilies, for a savory side dish or vegetarian entree. 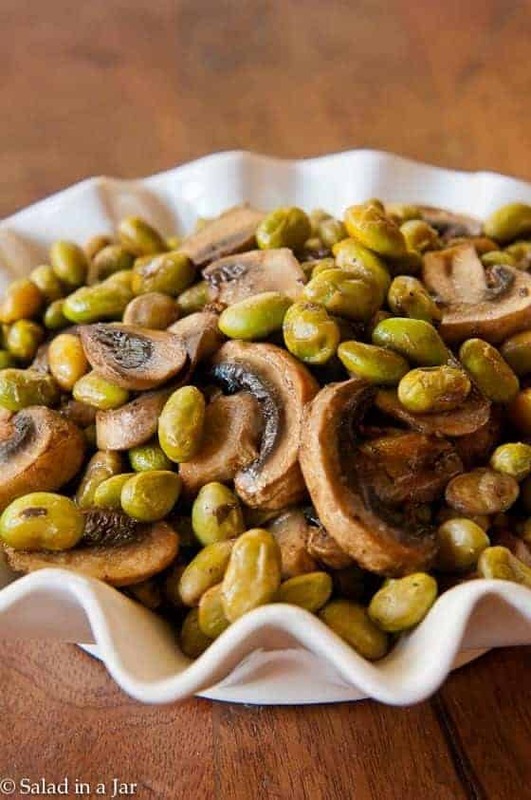 Frozen edamame combines with sliced fresh mushrooms to make an easy but flavorful side dish. 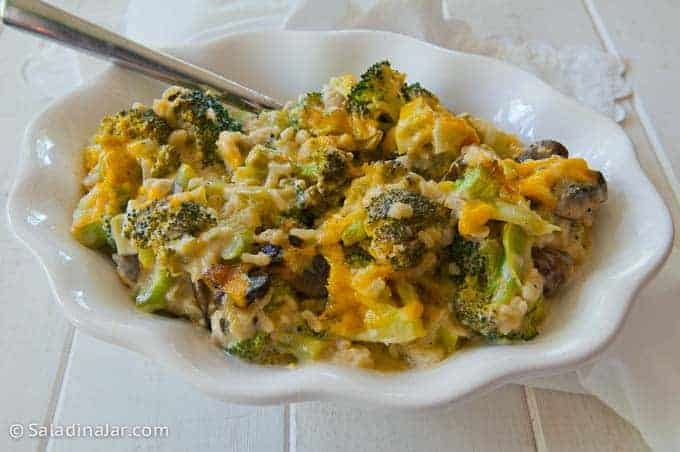 Traditional Broccoli-Rice Casserole with mushrooms but no canned soup. See microwave directions in the Notes below. 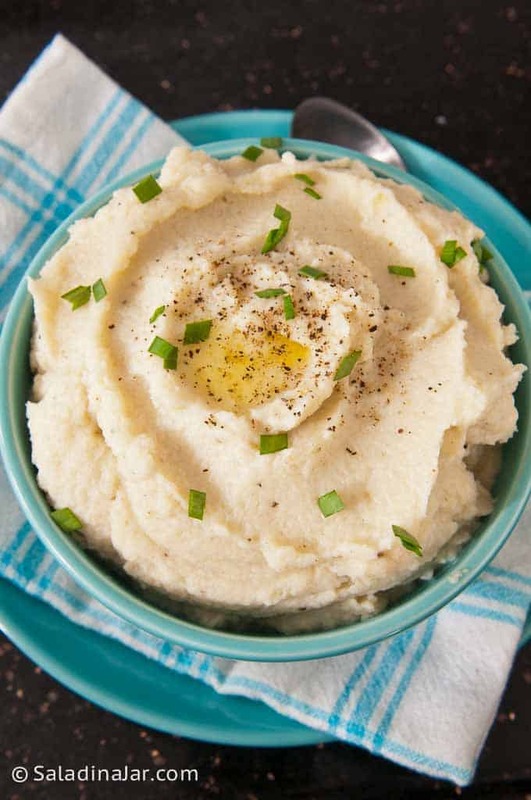 Make your mashed cauliflower more appealing and non-soggy by cooking in the microwave--uncovered. 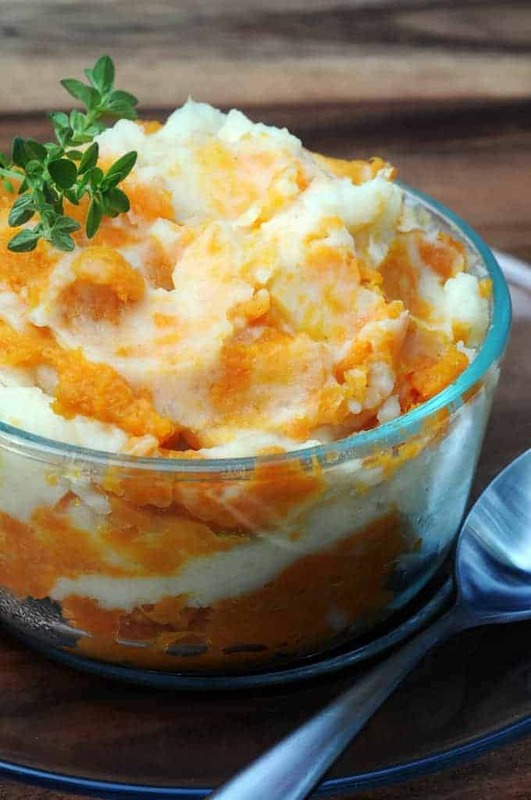 White potatoes and sweet potatoes are mashed, then swirled together to make a satisfying side dish. 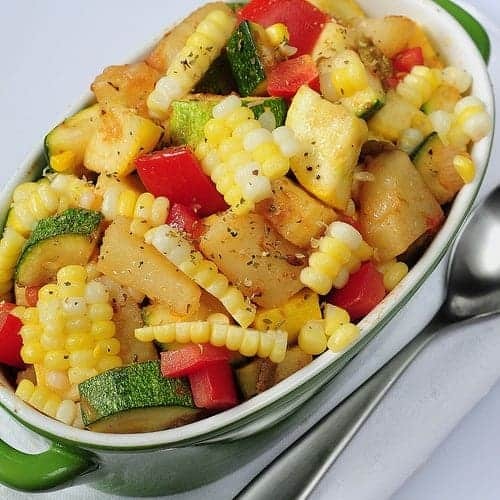 Yellow squash, zucchini, peppers, and corn with cheese on top make the most delicious and colorful soft-taco filling ever. 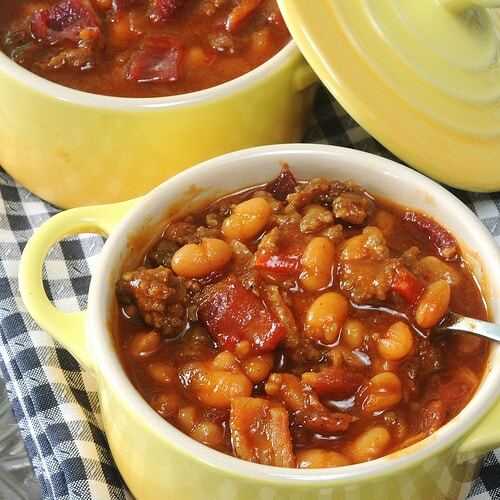 Take well-seasoned baked beans to a new level with the addition of ground beef and hot sausage. 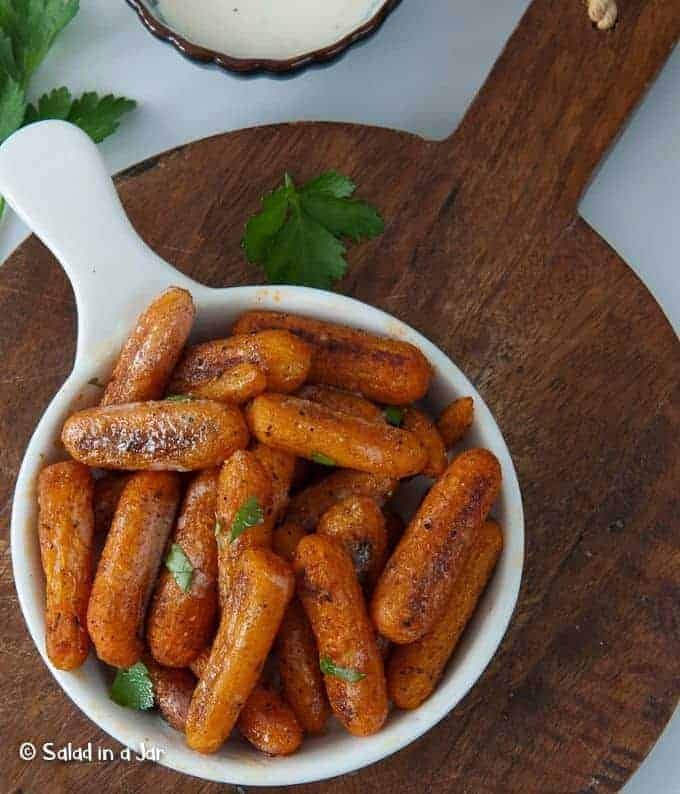 This side-dish will seal your reputation as a marvelous cook wherever you take them next.